Joe Sixpack: WORLD'S GREATEST BEER? Belgian monks' famed brew heading to U.S.
COMING TO America in 2012: The World's Greatest Beer. It's Westvleteren 12, a Belgian rarity brewed at the tiny St. Sixtus Trappist monastery by a brotherhood of notoriously secretive monks. Packaged in a plain brown bottle with no label, Westvleteren 12 has consistently ranked as either the No. 1 or No. 2 brand over the past decade at RateBeer.com and BeerAdvocate.com. 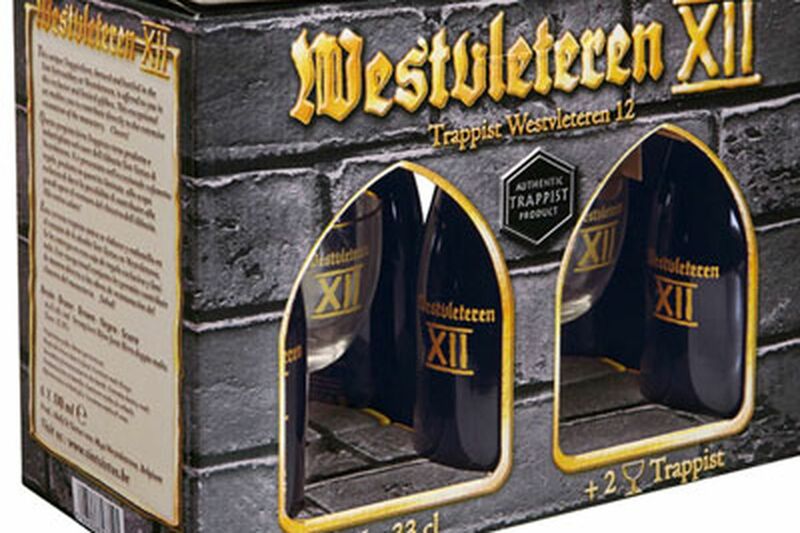 Along with its less potent (but equally delicious) sisters, Westvleteren Blonde and Westvleteren 8, it is typically sold only at the monastery and only under a bizarre set of rules designed to protect the monks' privacy. For example, normally one must call the abbey's "beer phone" during a weekly two-hour period to reserve a single crate. You give your car license number, then make an appointment to pick up your beer. Only one case may be purchased every 60 days. Your receipt is marked Niet Verder Verkopen (Do Not Resell). And do not plead for an exception. As the monastery's website notes, "Any such attempts will receive no response." There is no marketing, no advertising and no authorized exportation. Naturally, the sales restrictions keep the beer in short supply; fewer than 60,000 cases are sold each year, about a fifth of the production of Philadelphia's Yards Brewing. The limits are intended to allow the monks to concentrate on their sacred priority: prayer. But in a shocking development earlier this fall, the monastery, claiming it needed funds to pay for rising costs and repairs, said it would release just under 100,000 six-packs for sale in Belgian supermarkets. Additionally, it plans to send a stash of 7,760 gift packs to America. Each pack contains six bottles and two glasses. Naturally, the announcement was greeted with shock and excitement, with beer lovers calling it the Westy Gold Rush of 2011. When the beer hit the shelves in Belgium on Nov. 3, there were traffic jams around markets and near-brawl conditions in the aisles. Supposedly more than 60,000 gift packs were scarfed up at 25 euros (about $34) each in just three hours. It was exactly the kind of commotion the monastery had hoped to avoid. Worse, there are already reports of price gouging in the secondary market. Individual bottles have sparked bidding wars on eBay, and one popular online Belgian beer store last week began offering gift packs at an astounding $320 apiece. How much will Westvleteren 12 cost in America? After the importer, various middlemen, distributors and retailers take their cut, expect to pay at least $80 and probably more than $100. But before the beer even hits the shelves, we could see disputes over licensing rights. Under this first-of-its-kind release, imports are expected to be handled by two American specialty importers, Manneken-Brussels, of Austin, Texas, and Shelton Brothers, of Belchertown, Mass. However, in the late 1990s, the beer was briefly imported by other companies in third-party arrangements that may or may not have been authorized by the monastery. That led to a gray market in which wholesalers claimed licensing rights to distribute the brand in specific territories. For example, Shangy's, the huge specialty beer distributor in Emmaus, says it holds the rights to distribute Westvleteren in Pennsylvania. A spokeswoman for Manneken-Brussels said she could not comment on the beer's availability because "details are not finalized yet." Daniel Shelton, of Shelton Brothers, meanwhile, said he is "quite certain" the abbey never authorized anyone to sell the beer in the United States. The wrangling will only enhance the hype surrounding what has become the Holy Grail of cult beers. Rich and dark with the aroma of dried figs, it's extraordinarily complex and powerfully flavorful, with a touch of smooth-as-silk sweetness. Is it really the World's Greatest Beer? You'll have to decide for yourself, but you'd better save up your bucks and expect to stand in line. "Joe Sixpack" is by Don Russell, director of Philly Beer Week. For more on the beer scene, sign up for his weekly email update at www.joesixpack.net. E-mail: joesixpack@phillynews.com.